We love to make you feel at home at The Ridge – that’s why we want to give you the best every time you visit us. Sign up to our Rewards Programme to enjoy great benefits and instant discounts when you come and have fun with us here in eMalahleni. You can enjoy special offers on our shows and events at The Venue, massive discounts on movies@ The Ridge tickets, save at some of our restaurants and at Southern Sun The Ridge or StayEasy eMalahleni. Feeling lucky? Use your Rewards card when you play your favourite Slots or Table games at our casino to earn points to play more and to qualify for entries into our casino promotions for the chance to win incredible cash and car prizes. You can use your The Ridge Rewards card to save at all other Tsogo Sun entertainment destinations across the country, but you’ll need a Rewards card for every casino where you want to earn points for play. Ready to join The Ridge Rewards? Becoming a member is simple and free. Join our Rewards Programme at the Customer Service Desk. Signing up is completely free! Remember to bring your ID (smart ID card, green ID book, SA driver’s licence or passport). Once you sign up you will start off as a Gold Rewards cardholder. By playing Slots or Tables in our casino using your Rewards card, you will accumulate points and can move to a higher Rewards status level. From Gold you can move to Platinum and then to Black. The amount of points you earn over a 12-month rolling period from the day you get your card will determine your status level. We will review your status level every 3 months.  Please note: You can only earn points with your The Ridge Rewards card at The Ridge. To earn points at another Tsogo Sun casino, you will need a card for that casino. Get the big screen experience and save when you watch the latest blockbusters at movies@ The Ridge. Just use your Rewards card when you buy your tickets at the cinema to get your discount. You can also use your The Ridge Rewards card to get a discount at other Tsogo Sun movies@ cinemas. Feast on a variety of dishes at Billy G Buffet restaurant or enjoy a light meal at Cuban Coffee Company – there’s something for everyone. Present your Rewards card when you ask for the bill and get your discount on the total bill for up to 7 friends or family joining you for your meal. Montecasino, Gold Reef City, Silverstar, Suncoast, Blackrock, Emnotweni, Garden Route Casino, Golden Horse, Goldfields Casino, Hemingways, Mykonos Casino, and The Caledon. Come and enjoy some of the best events and shows in eMalahleni at The Venue. You qualify for a discount when you use your Rewards card to book your tickets. You also save on tickets to many of the shows and events at other Tsogo Sun properties, like the Teatro and Pieter Toerien Theatre at Montecasino and at the Gold Reef City Barnyard and Silverstar Barnyard Theatres. Use your Rewards card when buying tickets at a booking outlet or enter your membership number when booking online to get your instant discount. Enjoy exclusive Red Rates when you book a night at Southern Sun The Ridge or StayEasy eMalahleni on select available dates. Use your The Ridge Rewards card to save from 5% to 10% when you stay at other Tsogo Sun hotels around the country. Plus, you qualify for 2GB free Wi-Fi per room, per day and you save from 10% to 20% on meals and drinks at hotel restaurants and bars. Save on membership at one of the top golf courses in Mpumalanga. The top-rated Bankenveld Golf Club is the perfect day out in eMalahleni for golfers, as well as the whole family. The beautiful golf course is part of the Bankenveld Estate and borders the Witbank dam. Click here for details. Use your The Ridge Rewards card to save on the exquisite jewellery at Touch of Gold Designing Jewellers in Highveld Mall. Whether you are looking for a gift or celebrating a special occasion, you can get custom-made jewellery or pieces from well-known jewellers in-store. Isn’t it nice to know you can spoil that someone special with your exclusive discount on jewellery at one of the top jewellers in Mpumalanga? Click here for store details. Enjoy great savings on designer and custom-made watches at Watch Central in Highveld Mall. From sporty to sophisticated and one-of-a-kind, you will find the perfect watch at this top-quality watch store in eMalahleni. The best part? You get to save on your purchase with your Rewards discount at Watch Central. Click here for store details. visit other Tsogo Sun casinos. You can use your The Ridge Rewards card to enjoy entertainment, movies, shows and events, dining and more at 12 other Tsogo Sun casino and entertainment destinations around the country.